The Live Streaming Summit returns to Streaming Media West in Huntington Beach next month, and will once again offer two full days of discussions about the issues, opportunities, and challenges that define live streaming today. 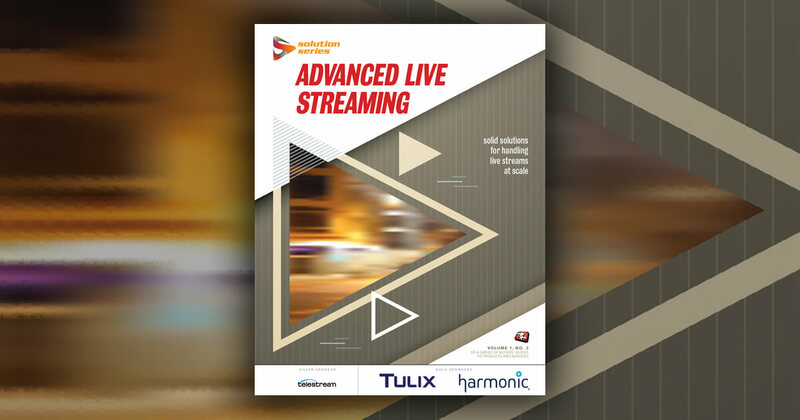 The program features sessions on live production in the cloud, maximizing resources in the field, live content at scale, social streaming, and the new OTT experience, as well as a fireside chat with Facebook Live product manager Matt Labunka. It kicks off on November 13 with the question that’s on everyone’s mind—how to monetize live streaming—to be discussed by speakers from Adrenaline Garage, M2A Media, and Zype. Moderating the session will be Christopher Roselli, CEO of The.LAND, a new platform that brings together influencers and brands to collaborate to create new revenue opportunities. He spoke with us via email about The.LAND and his perspectives on monetizing live streaming. Streaming Media: The name of your panel is “Monetizing Live Streams.” In your experience, what are the major issues or questions a content publisher/platform needs to address in order to best monetize their content? Christopher Roselli: At The.LAND, we try to tackle a few of the challenges to content monetization. We do believe the most difficult issue facing monetization is actually how to define ownership. As a publisher streaming on a platform, how are you really able to control your content? The platforms leverage your content for their own monetization, and most of the time they take the lion's share of the revenue. Even further, the current platforms seem to have a significant amount of control over the audience. With all of the throttling that exists in the existing platforms (specifically in the social media space), it's becoming more difficult to reach consumers. Additionally, we feel as though current monetization on specific platforms relies very heavily upon the current advertising model. We believe that the audience is growing tired of being advertised to in this traditional way. This may begin to effect monetization for publishers. At The.LAND, we've come up with a few different solutions for this. How is monetizing live content a different challenge from on-demand? Monetizing live content is a little bit more challenging because of the current advertising model. A publisher can use a pay-per-view model, but a lot of the revenues are usually derived from advertising. The rise of live streaming has created a need to tweak the existing monetization models. How important is offering viewers something beyond the stream — merchandise, experiences, etc. — to successful monetization? It's extremely important to create a 360-degree experience for the user. We are living in a time in which audiences want a deeper engagement. We need to provide an outlet for that without being intrusive. Merchandise is a great response, but the audience will lose interest if the content starts to feel like an advertisement. The.LAND creates a culture in which publishers, content creators, and influencers can provide this 360 experience as well as create their own culture through products, services, and content. This deeper engagement beyond the stream acts as a vehicle to monetize. How has The.LAND approached the monetization challenge? The.LAND was founded on the principle of true digital ownership, so we created a place where brands and influencers could express themselves through digital real estate that they 100% own. When someone visits a LAND, they experience a rich, ad-free experience that is all about the brand or influencer in a way that really hasn’t been done before. Unlike other social media sites that focus on monetization through affiliate links and ads, we focus on direct integrations and partnerships with brands so they can be tagged by anyone. This enables us to provide consumers with an experience where they can watch a piece of content and buy the products in it without ever leaving The.LAND. With an optimized checkout, consumers have one shopping cart for multiple platforms, brands, and products. It also enables us to allow influencers large and small to tag brands and products and immediately start making money from the audiences they have. No endorsement required. Let’s say an influencer (ex: David Beckham) really enjoys wearing Ray-Ban. Both Beckham and Ray-Ban are now able to monetize through his LAND. He can simply take a selfie, and we can enable the product to be “transact-able,” and Ray-Ban is now able to track products through David Beckham as his own retailer. In this environment, David Beckham shares in the profits whether or not he has an endorsement deal with Ray-Ban. In addition to transaction enabled experiences, The.LAND offers an unprecedented level of data interpretation. While other social platforms horde data and charge influencers for analytics, THE.LAND provides a detailed analysis of the journey. The.LAND enables everything to be connected in the digital ecosystem. As a fan, users can take journey through Diddy, venture through Snoop Dogg, and then to Martha Stewart. One post from an influencer (ex: DIDDY.LAND) opens up all other LANDs. Once a user clicks on a post he or she enters a completely connected digital environment. This data is collected and presented back to the LANDowner. As an empowerment platform, The.LAND’s gives an influencer, content creator, or brand the ability to be the platform and the retailer while distributing their culture throughout social media. During the Live Streaming Summit at Streaming Media West, Google Cloud's head of media and entertainment will discuss the difficulties of presenting live content at scale. Here's a preview of the issues he'll examine. With major new competitors entering the over-the-top video space in 2019, services will rely on bundled offerings, unique functionalities, and original content to stand apart. 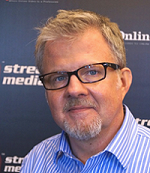 Video: Will Metadata Drive the Future of Online Content Monetization?